The so-called Iran “nuclear deal,” officially known as the Joint Comprehensive Plan of Action (JCPOA) was hailed as “historic” when the United States among other nations became a signatory of it. Then US President Barack Obama, attempted to make convincing statements regarding America’s commitment to the deal. However, America’s rhetoric compared to its actual actions diplomatically, militarily, and geopolitically told two different stories. The deal was created in 2015, 4 full years since the United States engineered a destructive proxy war in Syria – one of Iran’s closest and most crucial regional allies. By 2015, the United States had already committed to direct military intervention in Syria, occupying Syrian territory, directly arming, funding, and providing air support for militants seizing Syrian territory, and even constructing military bases within Syria’s borders. By 2015, the United States was revealed to have poured billions of dollars into arming militants ranging from Kurdish groups in Syria’s northeast, to militants aligned to Al Qaeda and even the so-called “Islamic State” (ISIS) in northern and southern Syria. While US President Barack Obama posed as conciliatory toward Iran, the US was steeped deeply in not only a proxy war against Syria, but ultimately a proxy war aimed directly at Iran. According to years of US policy papers, dismantling Iran’s allies in Syria and Lebanon were crucial prerequisites toward eventually undermining and overthrowing the government and political order in Iran itself. …the Israelis may want U.S. help with a variety of things. Israel may be more willing to bear the risks of Iranian retaliation and international opprobrium than the United States is, but it is not invulnerable and may request certain commitments from the United States before it is ready to strike. For instance, the Israelis may want to hold off until they have a peace deal with Syria in hand (assuming that Jerusalem believes that one is within reach), which would help them mitigate blowback from Hizballah and potentially Hamas. Consequently, they might want Washington to push hard in mediating between Jerusalem and Damascus. In hindsight, it is clear that no “peace deal” would be struck with Syria, and instead, the wholesale destruction of Syria would be orchestrated. Many of the proposals presented in the Brookings report in regards to triggering conflict and regime change in Iran have been instead used on Syria. Signing an agreement posing as rapprochement while simultaneously waging proxy war against a principle party of the agreement already indicates US intentions regarding Iran and America’s commitment to honoring the agreement. Shortly before US President Barack Obama ended his second term in office, preparations were already underway to backtrack on the Iran deal. 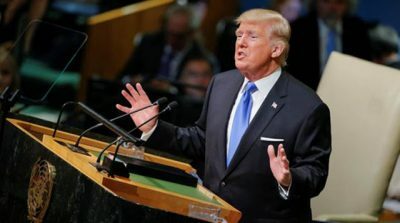 With US President Donald Trump now presiding over US foreign policy, the US is preparing to either entirely withdraw from the deal, or rewrite its conditions in such a fashion that Iran will be unable to accept it. While regime change and the total division and destruction of Syria would have been ideal for US policymakers who then seek to wage war upon Iran, Syria and its allies have paid a significant price in personnel and materiel. Despite this, Syrian forces have retaken virtually all significant population centers across the nation, including Syria’s largest city Aleppo where reconstruction is already beginning. Syrian forces have also crossed and are currently establishing a stronghold east of the Euphrates River, further complicating the partitioning of Syrian territory as envisioned by US policymakers and their Kurdish and Arab proxies. 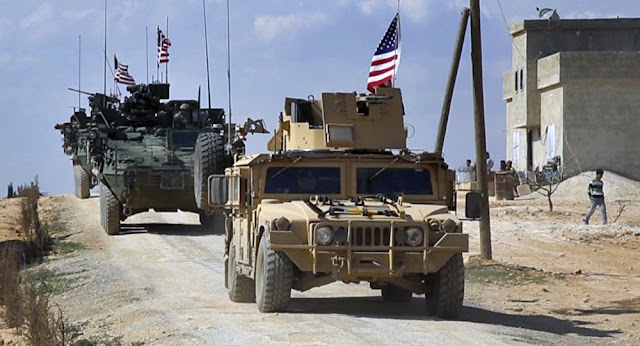 With Russian and Iranian forces deeply dug in on the ground in Syria, the likelihood of the US and its partners making any further headway against Syria is unlikely and faces a “now or never” moment in regards to pivoting the conflict and its regional resources toward Iran. Reconstruction in Syria and the loosening of sanctions versus Iran will only further impede possible future operations against Iran. 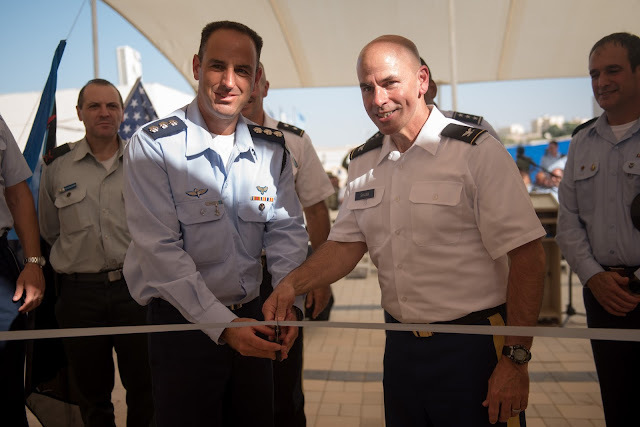 Signaling increasing signs of desperation and aggression, the US has opened its first official military base in what has for all intents and purposes been for decades a “forward operating base” for Wall Street and Washington in the Middle East – Israel. For the first time in history, the United States on Monday established an official, permanent military base in Israel: an air defense base in the heart of the Negev desert. Dozens of US Air Force soldiers will call home the new base, located inside the Israeli Air Force’s Mashabim Air Base, west of the towns of Dimona and Yerucham. Brig. Gen. Tzvika Haimovitch, head of the IAF’s Aerial Defense Command, announced the establishment of the installation on Monday evening. While it is indeed “historic,” it is also notable for the significant concession it represents. For decades Anglo-American interests benefited from the perception that Israel possessed its own aggressive, independent foreign policy. Maintaining this perception allowed the US and its Western allies to use Israel to carry out regional aggression while maintaining plausible deniability. 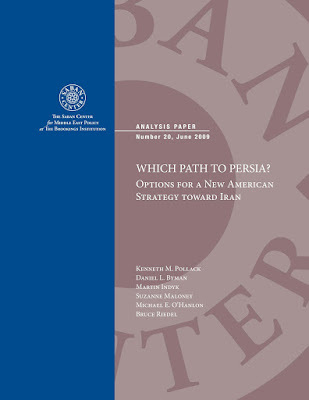 The aforementioned Brookings document specifically cited this as one of several possible means for provoking war with Iran – by having Israel appear to unilaterally attack Iran, with the US only joining in direct military intervention once Iran either committed to retaliation or a staged attack on Israel could be blamed on Iran. With a permanent US military base on Israeli soil, plausible deniability and the illusion of an independent Israeli foreign policy vanishes completely. This may signal a much more blunt approach by Washington regarding any upcoming aggression against both Syria and Iran. Regional Consolidation in Preparation for What? The US finds itself overtly consolidating its positions in the Middle East at a time when the global balance of power teeters dangerously close to irrevocably undoing American hegemony. Radical shifts in US policy regarding Iran are not owed to new occupants in the White House, but rather the shifting geopolitical realities as the US declines and other nations incrementally rise upon the world stage. Today, the US has exhausted its international clout, repeatedly abused international mechanisms for conflict resolution, and is openly pursuing a war in Syria with the aid of militant groups internationally designated as terrorist organizations. As its ability to wage war against Ian behind a smokescreen of legitimacy dwindles, the likelihood of it openly carrying out an act of aggression increases. US policymakers may hope that after consolidating its positions in the Middle East, it can carry out a single, sweeping act of military aggression Iran’s allies will be unable or unwilling to contest. Desperate hegemons are dangerous hegemons. Tony Cartalucci is a Bangkok-based geopolitical researcher and writer, especially for the online magazine “New Eastern Outlook”. This article was originally published by New Eastern Outlook where all images were sourced.